Should we confer legal right upon nature? 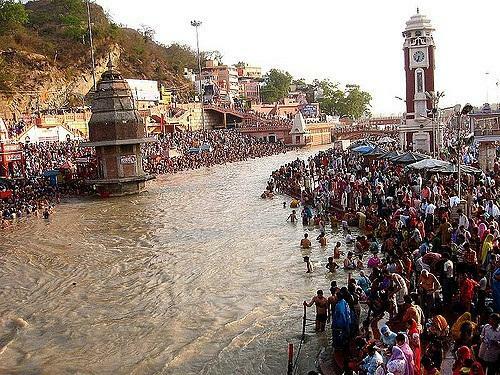 The legal entity, along with human rights, granted to the Ganga and the Yamuna is welcome, but raises interesting dilemmas. If rivers have agency and are entitled to rights, they should also have responsibilities and duties like human beings. This means, it has to be ensured that rivers do not run wild. Also, they need to be dammed if it is compatible with the principles of sustainability to store water, provide irrigation and electricity, and avoid floods during the monsoon. The dams should not be too large to avoid siltation and displacement. People displaced to make way for dams should be rehabilitated and provided livelihood opportunities. The idea of duties to be tagged along with rights was suggested by Mahatma Gandhi when he was asked about what he thought about the idea of human rights. Recently, the World Futures Council has suggested that the present generation has not only rights like human rights and rights over natural resources like rivers, but also duties and responsibilities towards future generations. French philosopher Michel Seres had long ago proposed the idea of agency for the natural environment as a whole so that its rights can be protected. These rights can be protected by people on behalf of rivers. These rights ought to apply not only to one or two holy rivers, mountains, trees and plants, but to the entire natural environment, which is inter-related in a web of life, sustains us and provides livelihood to the poor. In the Indian context, the idea that one or two rivers, as also certain mountains, trees and plants, represent superior qualities of nature just because they are holier than others seems to be flawed. All creation of nature deserves equal respect, as they are all born from the same source. The natural environment needs to be represented by certain groups or individuals to argue the case about their specific rights as well as to demand compensation, if required from those who damage or pollute natural resources. Many inter-related issues may arise about legal entitlements, but they can perhaps at least be partly resolved provided we agree on the particular rights and duties. It was argued by Gandhi and Swami Vivekananda that all human beings, including those belonging to lower castes and even untouchables, deserve dignity and rights as they had the same divinity. They were called “Harijans” or children of God by Gandhi and “Daridranarayans” by Vivekananda. Both Gandhi and Vivekananda also mentioned that all of us have divinity regardless of caste. It would be not out of turn if we could ask the Supreme Court to consider nature as a whole and not a particular river or mountain or tree. In a secular country, other religions and creeds, including atheists, may also have their sacred natural resources. How can we deny the same legal rights to other holy places, natural spots and resources? In the context of trees and plants, one could say that the Peepal tree and the Tulsi plant are considered holy. But this idea should apply to all trees and plants which are beneficial to us. The idea of deep ecology propagated by Norwegian philosopher Arne Naess considers all nature and its beings as worthy of deserving the same respect and of being considered worth protecting and preserving without discrimination. However, Naess, valued human life relatively more as human beings are conscious and aware. Being conscious and having intelligence is considered a human quality. But humans cannot survive in isolation and needs the sustenance of the natural environment. Naess also believed that some species could be sacrificed or asked to give up their “natural freedom and pre-existing rights”, as well-known environmentalist Ashish Kothari puts it. Human beings who consider themselves superior could fall prey to arrogance. Australian philosopher Peter Albert David Singer is of the opinion that if one considers a certain species superior to another, it amounts to the same as racism and sexism. He uses the term speciesism to underline the discrimination made on the basis of belonging to a wrong or so-called bad species. Perhaps we in India and everywhere else can learn that nature is interconnected in a web of life and that human beings are part of it. Finally, the inter-dependence within the web of life in nature acquires more significance than the holiness of a particular river or a mountain or a tree.